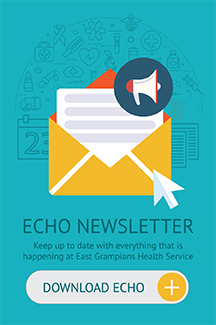 East Grampians Health Service recognised the 16 Days of Activism against Gender-Based Violence late last year. Special guests were Kate Muir, Human Resources Advisor engaged by Ballarat Health Services for the Strengthening Hospital Responses to Family Violence Initiative, and Kathleen Doole, Program Leader Health Communities, Grampians Community Health, with the launch attended by managers and staff. At the launch, managers and staff enjoyed a morning tea of cupcakes made especially for the occasion by Café Pyrenees and featuring the Strengthening Hospital Responses to Family Violence Logo. Commencing on November 25 the International Day for the Elimination of Violence against Women and concluding on December 10, International Human Rights Day, the 16 Days of Activism campaign raised awareness and galvanized action to end violence against women and girls around the world. 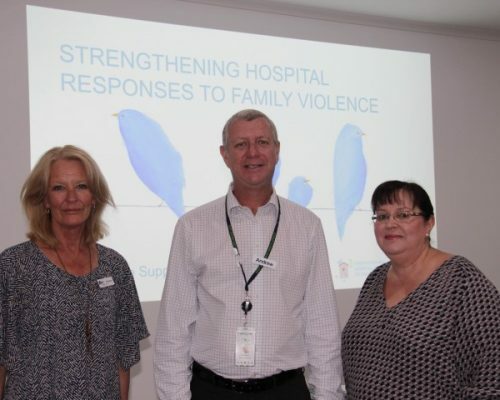 EGHS is implementing the Strengthening Hospital Responses to Family Violence (SHRFV) initiative. The Strengthening Hospital Responses to Family Violence initiative aligns with recommendation 95 from the Royal Commission into family Violence that calls for a whole of hospital response to family violence. This initiative provides a model for change. Developed and adopted a Family Violence Identification and Response Policy and Procedure to increase the safety, security and dignity of affected individuals and their child/ren utilising EGHS services and to raise awareness of reporting requirements and to develop a culture of responding to family violence. Made family violence information available for staff on our intranet page.